Most Young People Don't Vote. Could This Year Be Different? Less than half of 18 to 29-year-olds went to the polls last presidential election. But this isn’t a typical year. 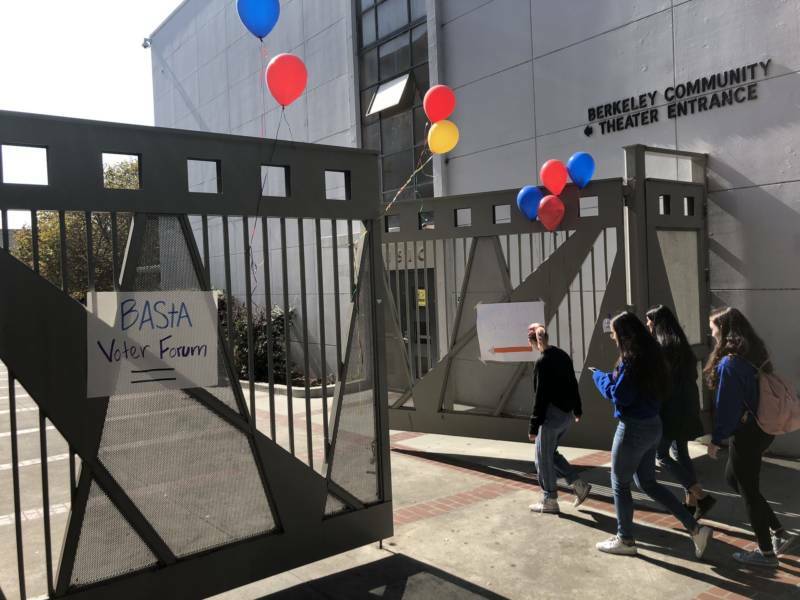 This year a school shooting sparked a political awakening for youth around the country, and Bay Area students have tried to translate that energy to the voting booth. Bernholz helped organize the event, hoping to turn voting into a group event that would get other young people excited. After the rally the group went into the voting center to cast their ballots early. Bernholz and his classmates spent the last few months doing voter registration drives to get young people to the poles. 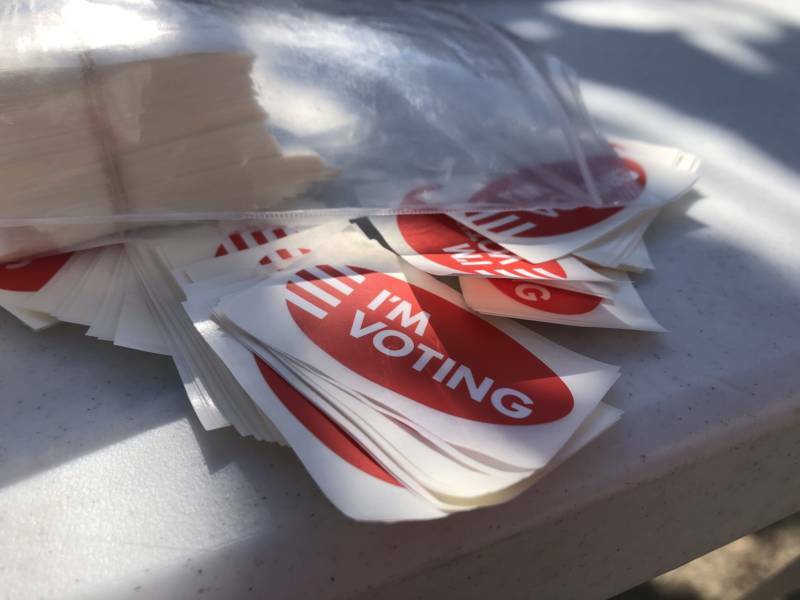 Turnout is historically lowest among young voters compared to other age groups, but a new national survey from the Education Writers Association found young voters are unusually engaged this year: 63 percent of 18 and 19-year-olds said they plan to vote. The survey found young people who plan to vote are more likely to identify as liberal, and one of the top reasons they gave for casting their ballots this year is to weigh-in on the direction of the Trump administration. The latest Harvard Institute of Politics Youth Poll of 18 to 29-year-olds found heightened interest among young Democrats, with young Republicans becoming more engaged in the weeks leading up to the election. Looking ahead to 2020, it found 59 percent of young voters say they will never vote to reelect President Trump. The school shooting in Parkland Florida is still helping to energize students around the election, including Bernholz' classmate Liv Jenks. "You’ve seen a lot of students claiming their political power," she said. Forty percent of young people surveyed said their political engagement had increased over the past two years. 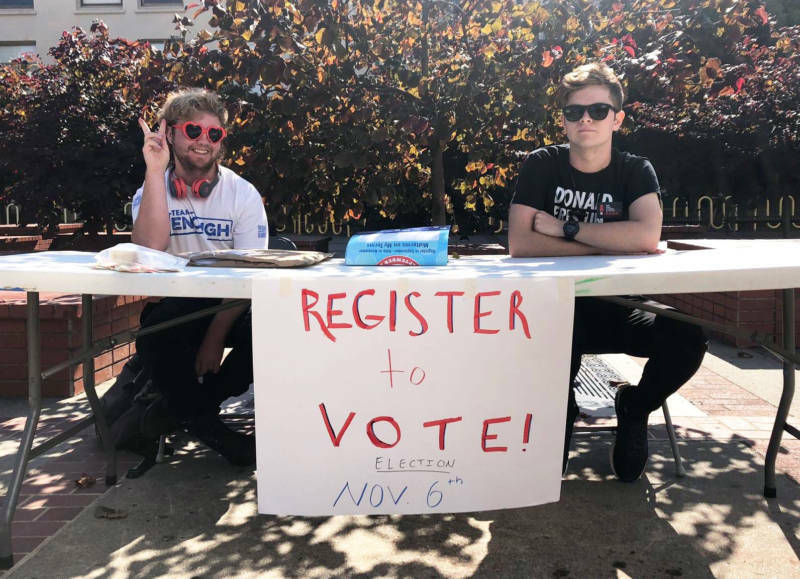 "It’s been really empowering for me to hear my fellow students getting politically engaged and being the ones that are educating me," Jenks said. The Parkland shooting was the top reason they gave for becoming active, and school shootings were the biggest concern youth voters listed, followed by gun control and racism. "I was really scared at school and so I had all these emotions and I didn't know how to deal with them," Berkeley High School student Kira Galbraith said of the weeks after the Florida shooting. She said she turned to political organizing as a way to cope with those emotions. Galbraith and other students have been working together across the Bay Area this year. They held school walkouts to demand stricter gun laws and planned a lobbying trip to Sacramento. Most of them can’t vote yet, but that hasn’t stopped them from finding ways to participate in the election. “The frustration that I feel that I can’t really have my voice heard in the government right now, that drives me more to get other people as a way to have my voice heard,” said French American International High School senior Zoe Benjamin, who helped found the group Bay Area Student Activists to advocate for gun reform. The group has grown to include students from more than 30 schools in the area. 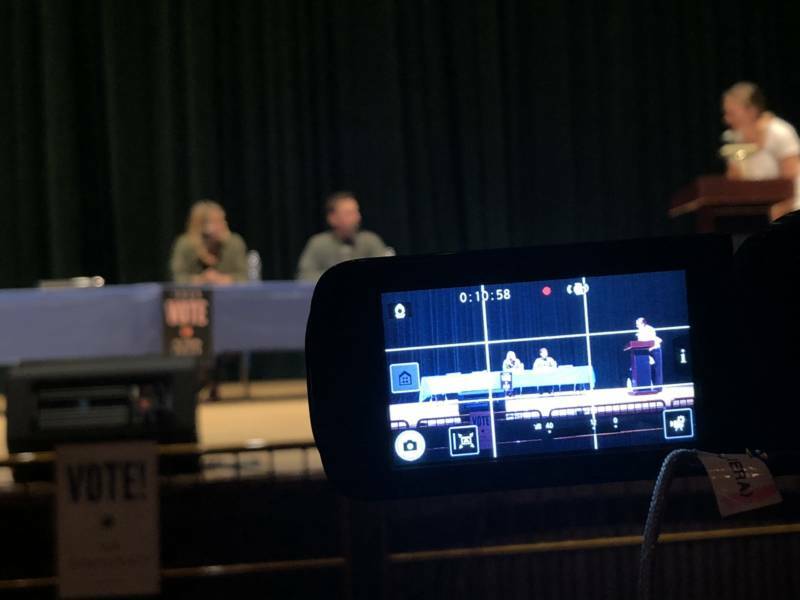 Last month they put on a voter forum at Berkeley High School with candidates for local and state offices. High schoolers Alden O’Rafferty and Kate Sippey, both 17, are pre-registered to vote. They showed up at the forum to press the candidates for specifics. "There’s a lot of big, grand change the world statements, like buzzwords," Sippey said, "but not actually like this is what I’m endorsing to do this, and this is how we’re going to fix the housing crisis and stuff like that." O'Rafferty nodded along. "I just want to know how," she said. 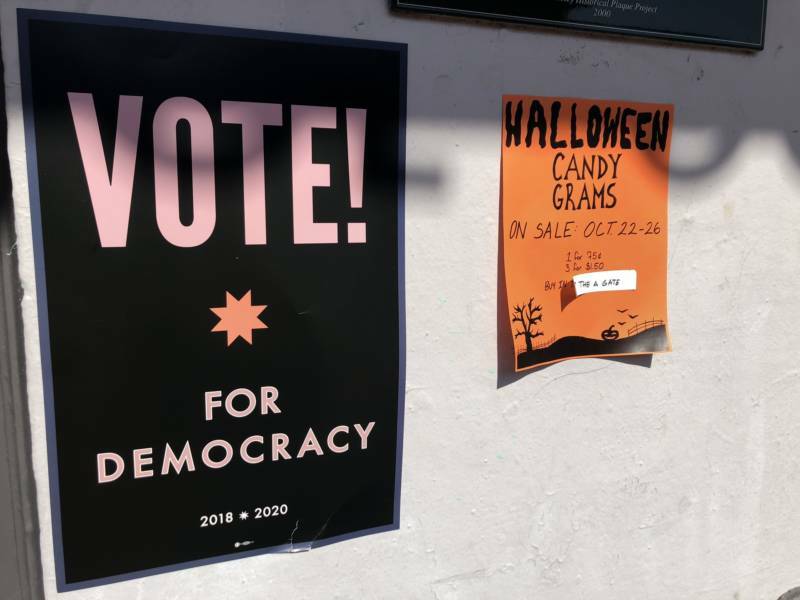 The latest report from the California Secretary of State's office shows more than 260,000 16 and 17-year-olds have pre-registered to vote since September 2016. At least 100,000 of them have turned 18 and are eligible to vote. As of September, close to 10,000 young people had pre-registered in Alameda County, nearly 3,000 in San Francisco County and over 6,000 in Contra Costa County. 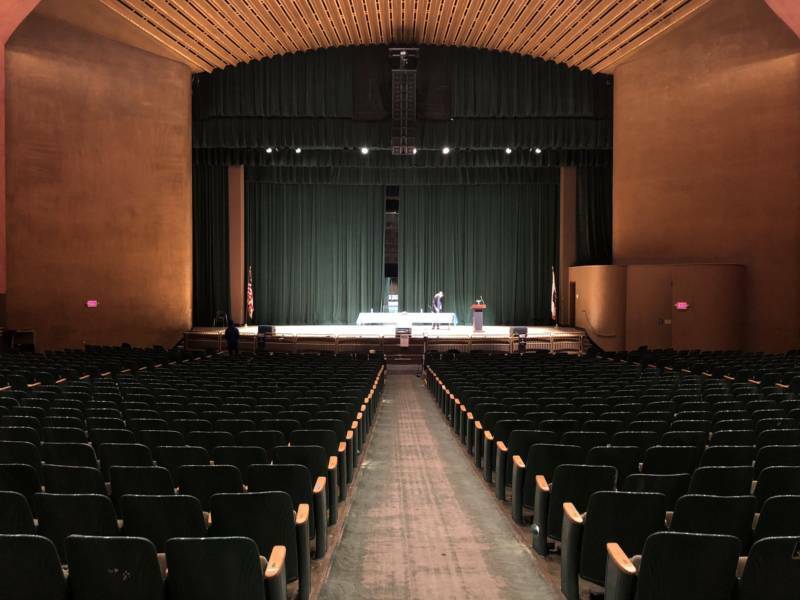 With their recent voter forum, Zoe and the other organizers hoped to help people headed to the ballot box make informed decisions. Assembly District 15 candidate Buffy Wicks and a representative from Jovanka Beckles campaign speaking at the forum. But only a few dozen voters showed up. "When I talk to my friends and stuff, some of them are like I don’t really want to vote because it feels like a lot of work," Benjamin said. To make things easier for them she put together a crash course on everything there is to vote on in San Francisco County. She presented it to all the 18-year-olds at her school. 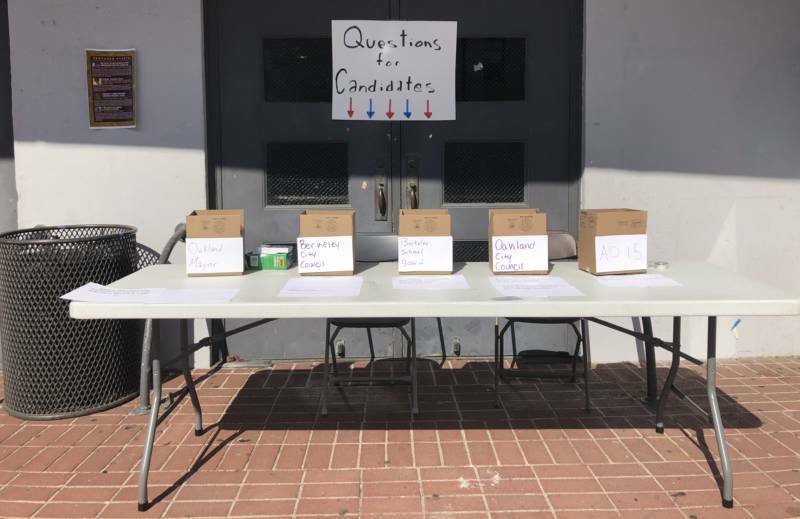 The energy these Bay Area students have put into the election remains atypical. The student survey found nationwide almost half of young people couldn’t name a single candidate running for office.